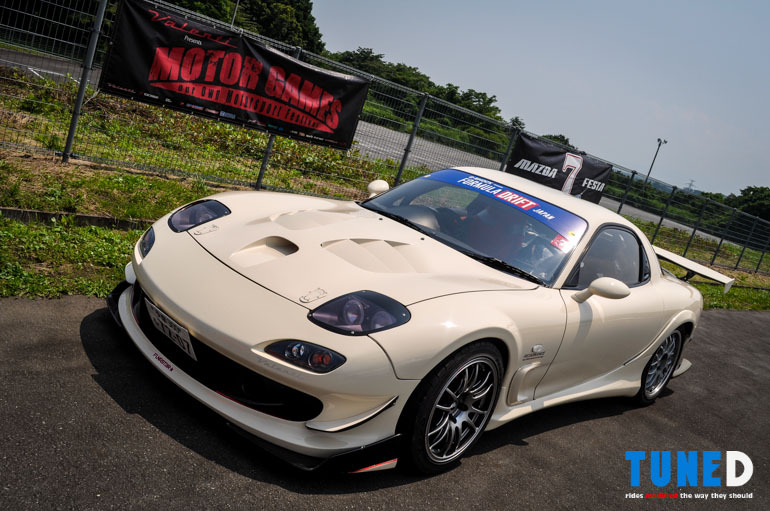 I’ve been long waiting for this opportunity, a chance to share a full feature on RX-7s with our readers here on TUNED. 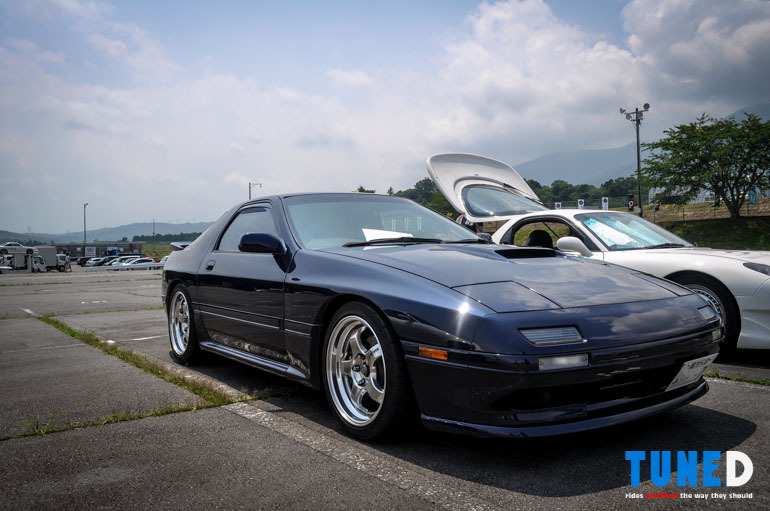 Since the eccentric Dorito-shaped engined RX-7 is pretty much hieroglyphics to most builders here, anything with a rotary could hardly be seen running around town. Unbeknowst to many though, there are small parcels of diehard rotorheads around the country that find ways to keep their motors running, reliably too. And now with an RX-7 to call my own, I’m all the more glad to share with you all the wonders of its quirky engine! 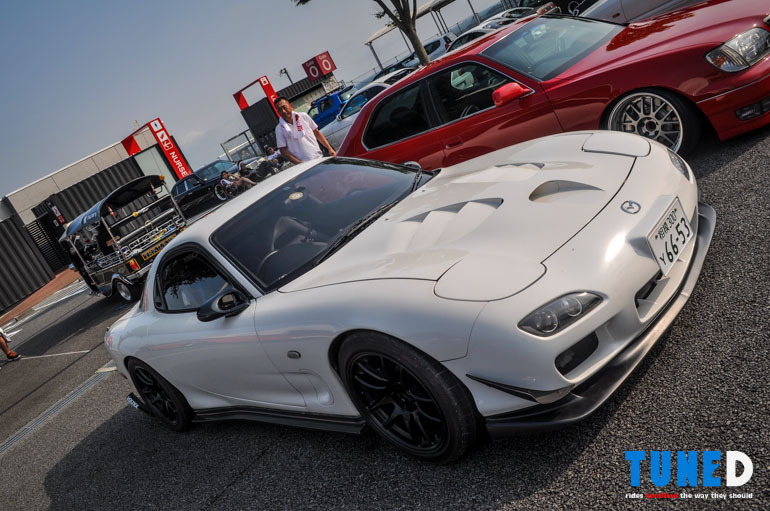 Our visit to the Mazda Tuning Festa could be seen as somewhat of an ocular of what the Japanese truly do with their rotaries. Beyond the pages of the internet, indeed there were interesting things to be seen. Fancy how one of the first cars that greeted us on the way to the paddocks was this silver Kouki FD sporting an RE Amemiya N1 Facer bumper and AD Hood 9 bonnet. 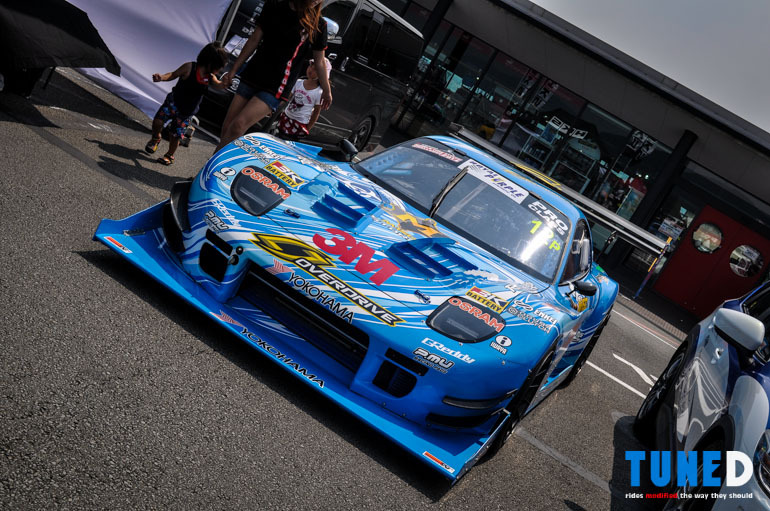 Easily a car you could see on any webpage, given how popular this setup is for the track-junkie FD driver. 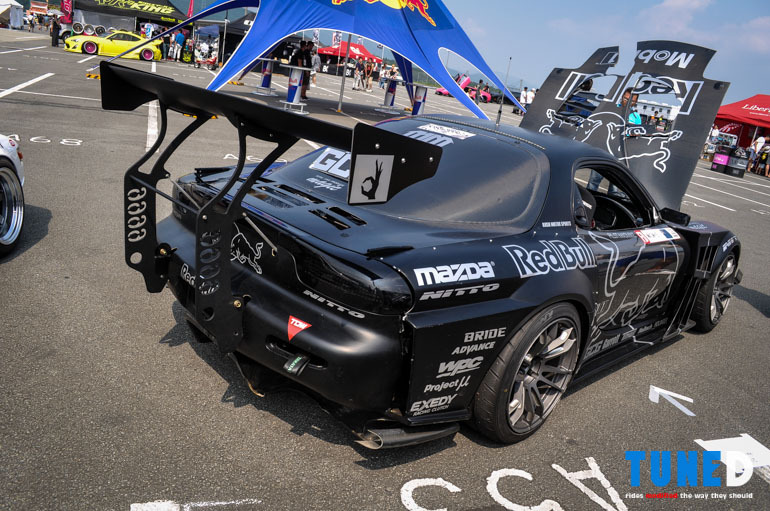 One thing I’ve noticed during our trip is that contrary to what the internet shows us, not all circuit oriented RX-7s opt for the widebody route. 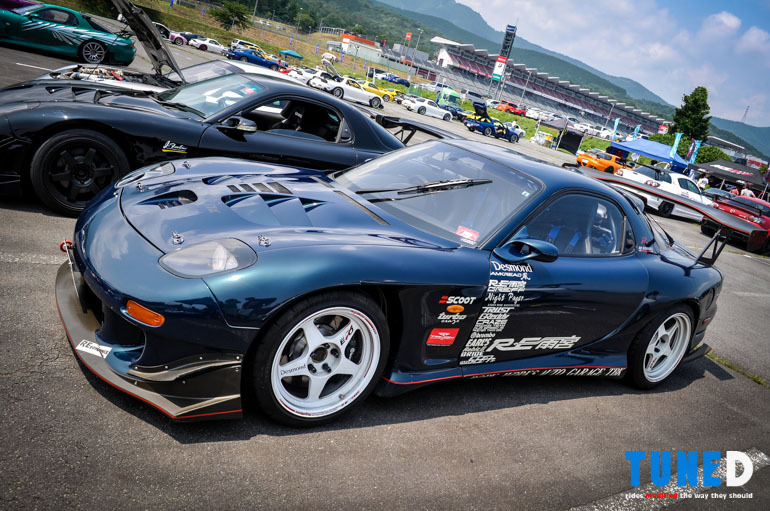 You’ll notice this particular RX-7 (and the one before it) isn’t sporting any fender work at all. Widebodies are all and good, but considering the costs of wheels and tires just to match the fenders I reckon you’d have to have deep pockets to be able to maintain that setup. 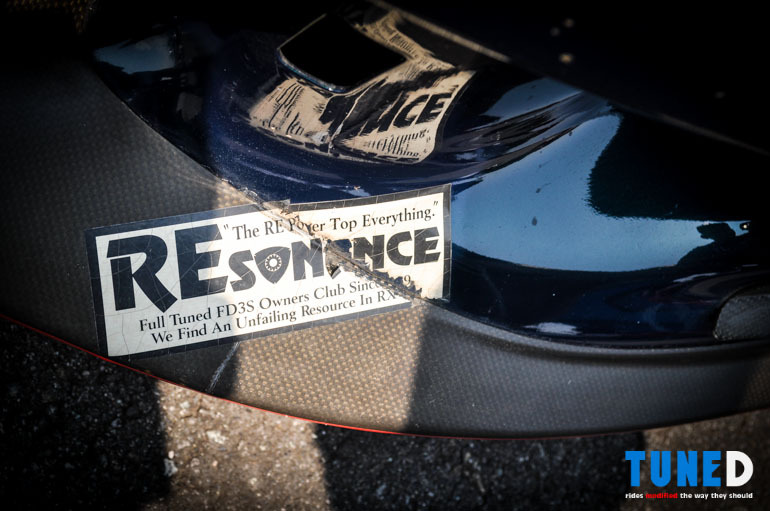 This realization further convinced me that I should keep my own FD’s body unmolested for awhile till the wider tires would actually be merited. 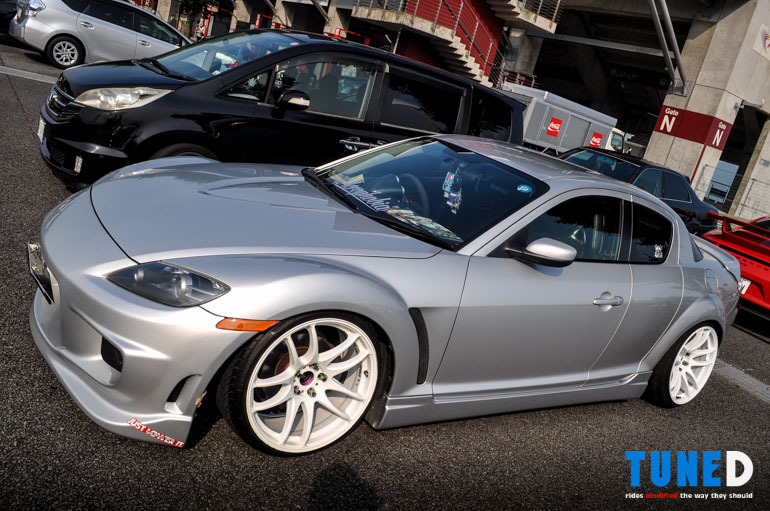 RX-8s were pretty far and between during the time we spent at Fuji, and pretty much most of the cars present were geared towards the Offset Kings show. While power isn’t impossible to gain in the RX-8’s RENESIS 13B-MSP*, the engine doesn’t lend itself well to boost as much as a 13B-REW from an FD would. That said, I suppose making RX-8s look better would be a better agenda than outright power for most owners. 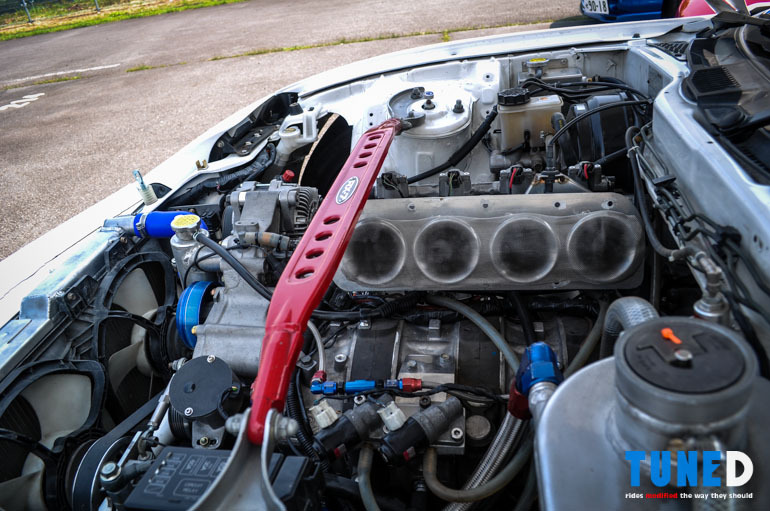 *The 13B-MSP, while almost identical to the 13B-REW from the RX-7, has key differences in intake porting and rotor sizes that increase compression and supposedly lower emmissions. That said, it isn’t exactly cut and dry to add turbocharging to the RX-8 motor unlike the RX-7 before it. Come to think of it, FCs were only a handful at the event as well. Perhaps given that we’re at a racetrack FDs really are the weapon of choice for such a place. Nonetheless, this blue FC on Work Meister S1s represented the generation fairly well. Despite its relatively stock body, it goes to show how far a decent paint job and quality wheels will take you! 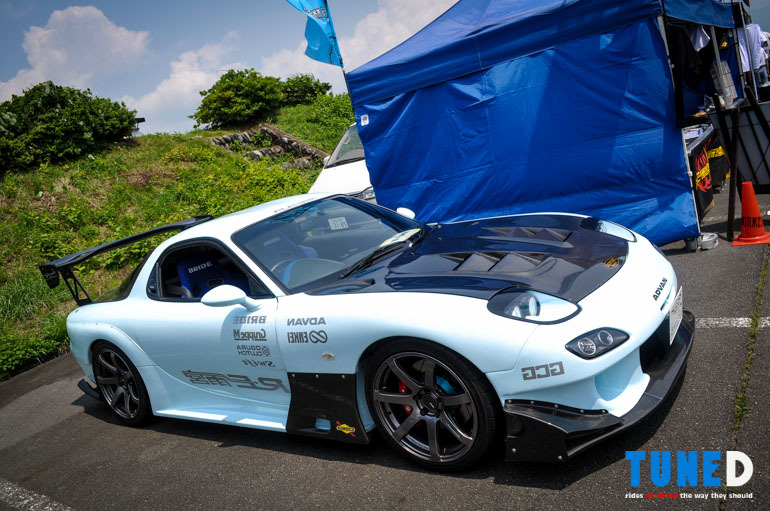 Once again we’ve come across the menacing Pro Staff R Magic FD we’ve seen in the dark corner of Daikoku PA the night before. In broad daylight the angles of the black 7 are more prominent, making its appearance even more overbearing than it appeared at night. 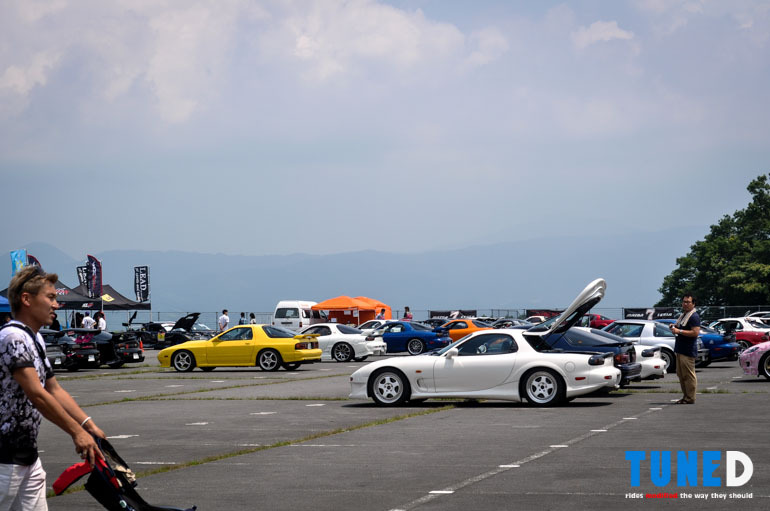 I’d be disappointed if they called it the ‘Mazda Tuning Festa’ and I didn’t even see a squad of RE Amemiya kitted RX-7s, thankfully though there was a small contingent of them parked together in the lot. 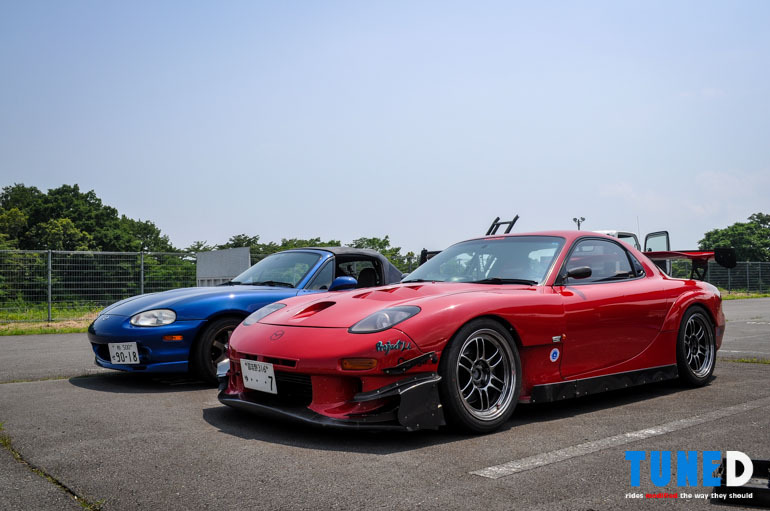 While generally I wouldn’t want to alter the overall shape of the RX-7, RE Amemiya’s various kits such as the pair of Super Greddy 3s on the left give some rather controversial facelifts to the FD. 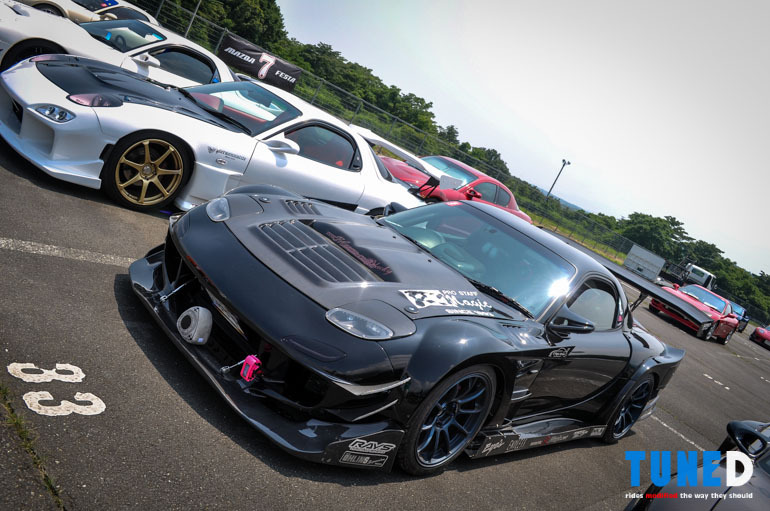 It doesn’t look that bad in fairness, though unfortunately I haven’t seen any Super Greddy 7’s (Porsche headlight front end kits) running around that day to be able to judge those for myself. This was. 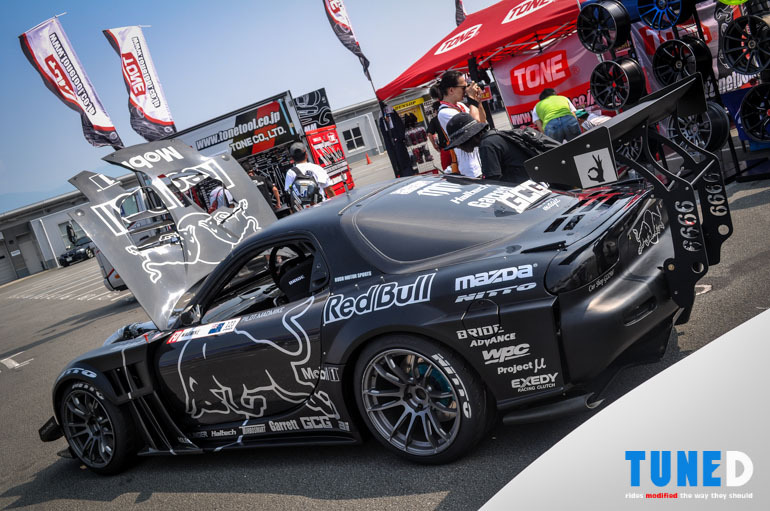 Mad Mike’s toy for Formula D Japan was out on display at the aftermarket section since it wasn’t properly running for the competition. Nonetheless, the 26B twin turbo quad rotor meticulously built by Total Car Produce Magic is a sight to behold. Should be quite a treat once it’s sorted properly! 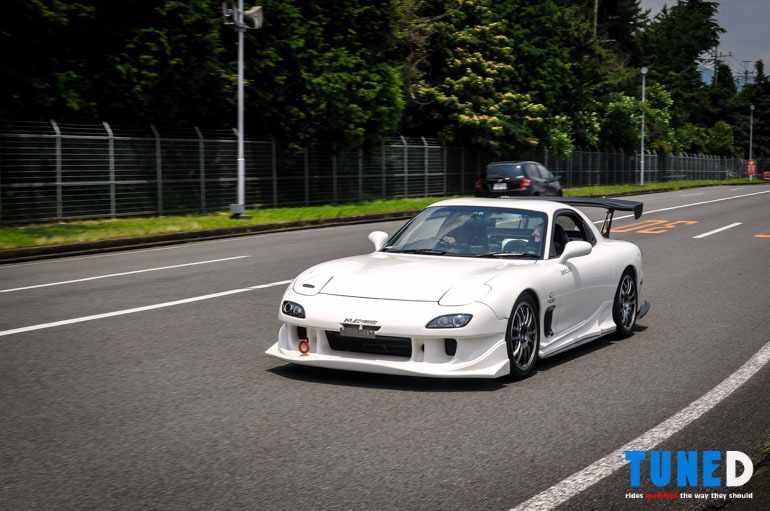 Back at the main pits, this is probably my favorite FD for the day. 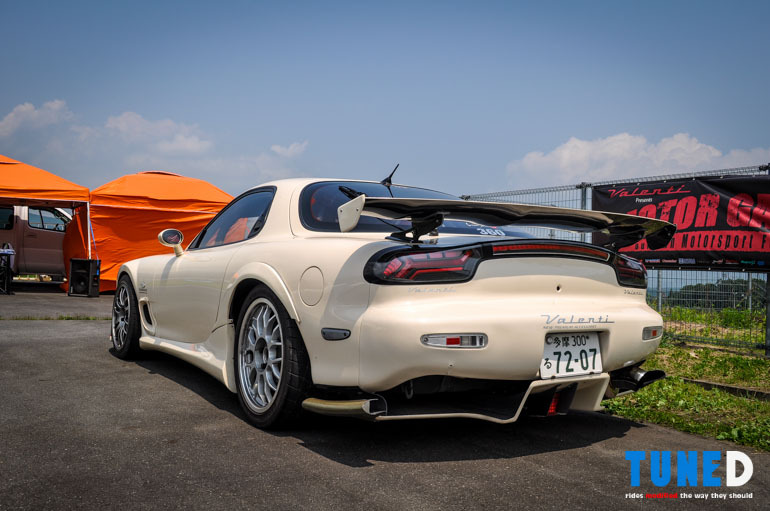 Anybody might dismiss it as ‘just another RE Amemiya RX-7’, but if you look carefully at the details you would understand that this car is period correct throughout all of its aesthetic modifications. From the early-gen AD Facer widebody, to the gleaming Regamasters, and even to its Montego Blue Pearl paint, this car could easily come out of RE Amemiya’s late 90’s to early 00’s catalog! 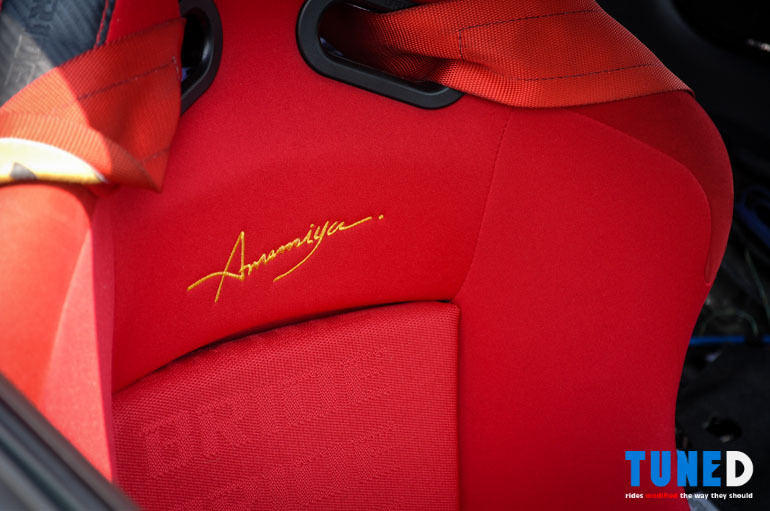 It even has its signature JDM engrish stickers down pat, too! 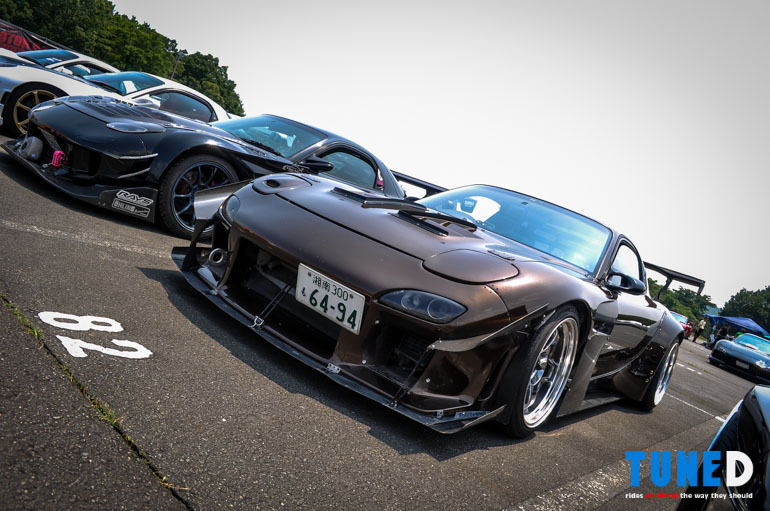 Looks to me like the owner of this brown FD shares my sentiments about the rocket bunny kit too. 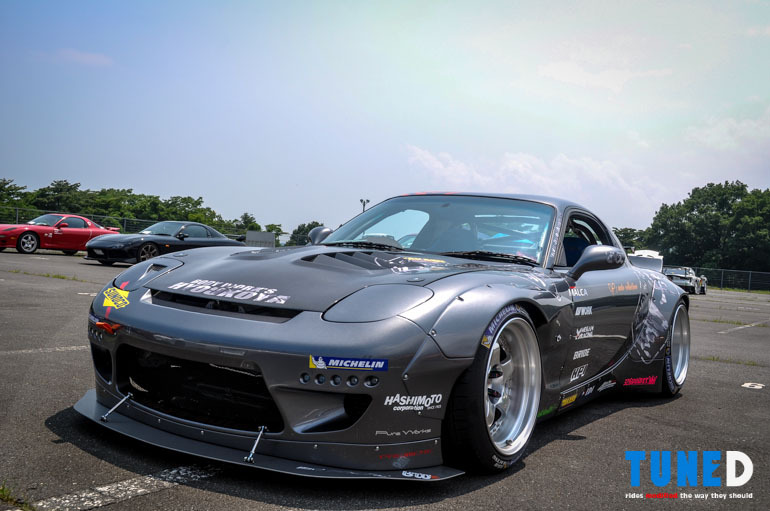 If you’ll notice this car has a slew of various aero pieces, having used the rocket bunny rear flares and mating it with an entirely different front bar. It pulls off the time attack look seamlessly nonetheless! 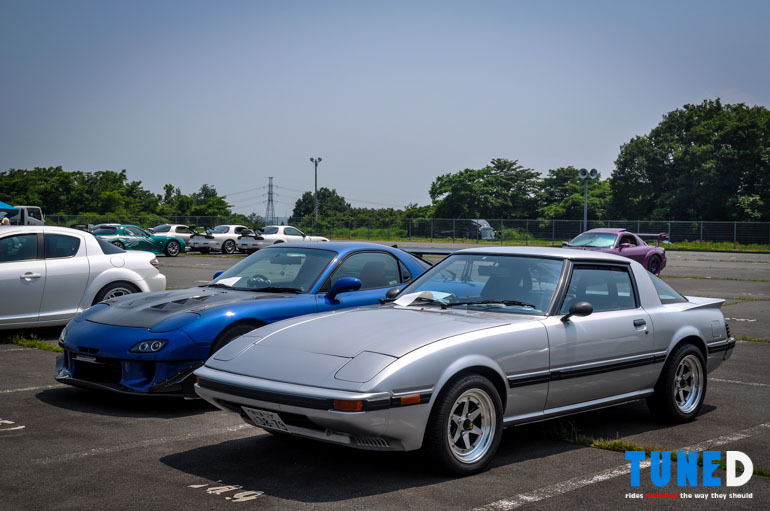 We found this lone SA22 sitting at the far end of the lot, looking well kept and original save for the SSR Longchamps to give that period-correct aftermarket vibe. As we were about to leave the area, a rather familiar noise that I’ve only heard on Youtube buzzed by. 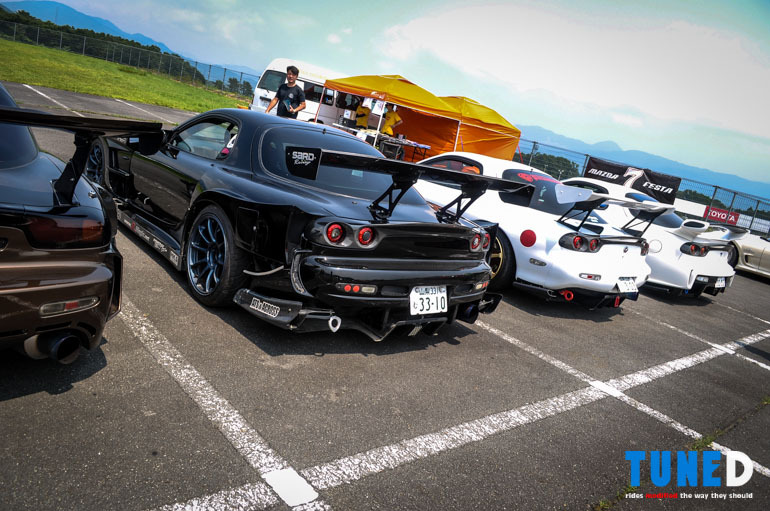 I let my companions go ahead and continue with looking around while I dashed back to see the rather infamous 4-rotor street FD3S built by Yuki Kamakura and the guys at Scoot Sports. 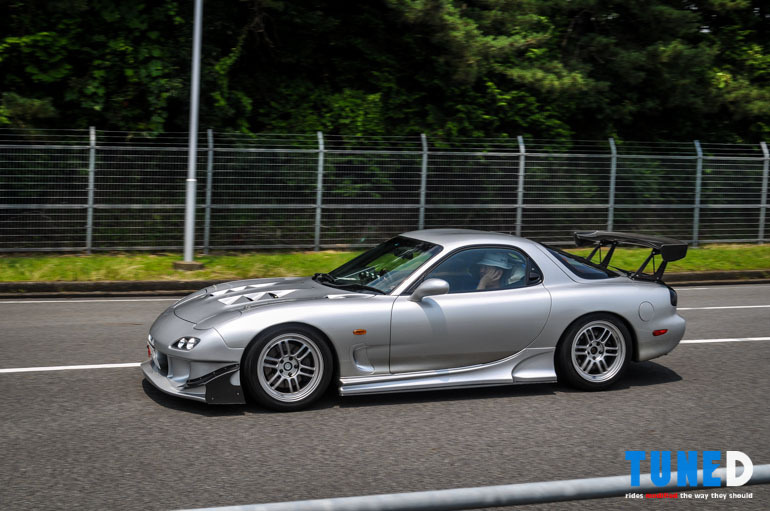 In my excitement, I wasn’t able to take a photo of the car, and instead talked its driver – with the little nihonggo I know – into popping the hood open to reveal its garage-built 26B quad. Despite running without any forced induction whatsoever, this engine’s good for about 360whp in its current tune. Glad to see it being driven the way it should! 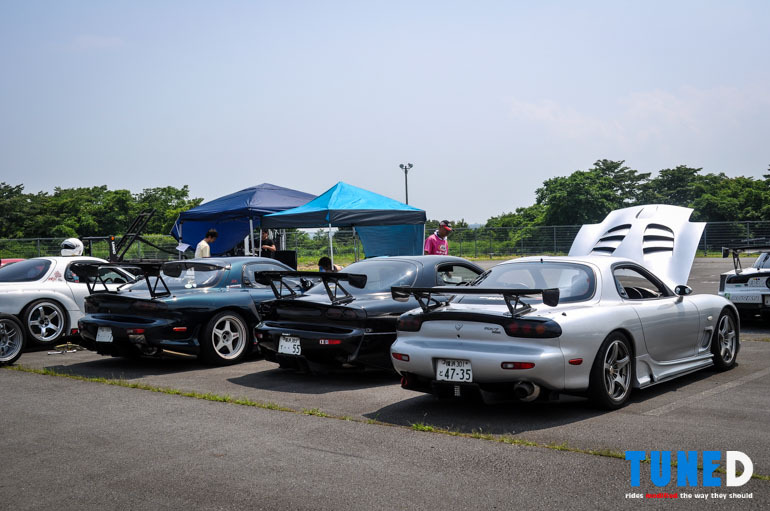 A small glimpse into how the Japanese run their RX-7s has me further inspired to push for bigger presence of rotaries here in Manila. 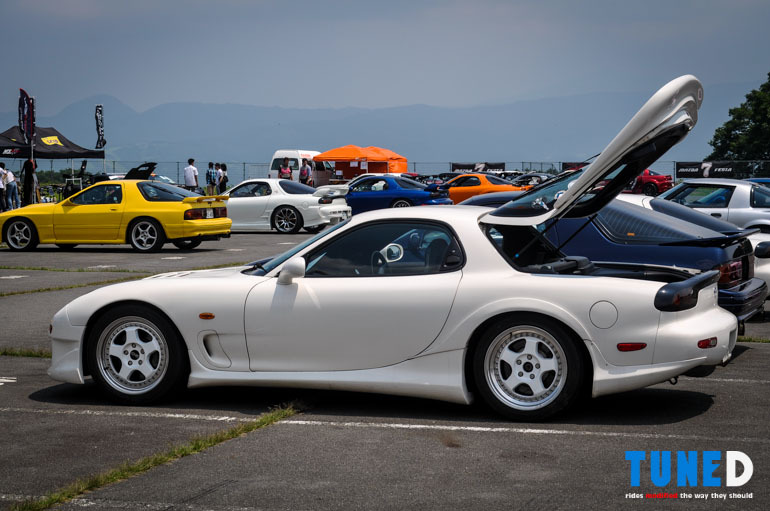 These wonderful – albeit quirky and temperemental – motors are just worth the trouble getting to know, as any RX-7 owner would tell you the experience of driving a rotary is indeed one of a kind!